Kid Pecos with longtime Juggling cat Kutchie Love are playing a set out west in Western New Mexico bringing a true reggae dancehall dance vinyl sound to all around. Now in the winter time fewer people gather fora night out dancing. Early evening sets are nice for colder days. Thoreau New Mexico has a nice Flea Market a large park area for people to gather visit. Now out in this Mountain region having made Entertainment contacts Pecos Sound System can TL Sound Reggae Dancehall al the back along the many Joyful Dances at locations to now. Which being in a rural less people location of Resorts Retreats are best to be able to revisit for Entertaining Dancehall Vinyl fans. PECOS SOUND SYSTEM PECOSSOUNDSYSTEM PECOS SOUND PECOSSOUND Kid Pecos reflecting Back. Now with http://www.pecossound.com play a few sets in the Resort Entertainment, of the Mountain, Cibola National Forest Area. Stay with Pecos Jarvis Flea Market if you see any item of interest contact kidpecos@att.net www.twitter.com/@kidpecos finds a spot wishing to host Pecos Sound System with Kutchie Love along side Pecos Sound in a TL Sound Reggae Dancehall style. 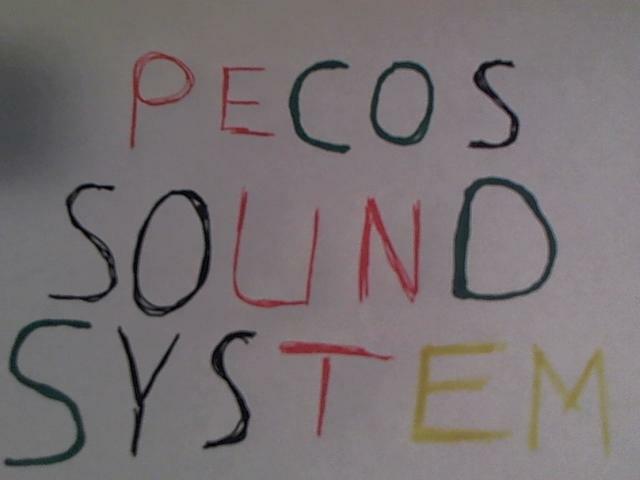 Now TL SOUND REGGAE DANCEHALL will play the set Kid Pecos will replay a few reggae tunes www.twitter.com/@kidpecos is now working like in Alburque New Mexico Working on Entertainment Contacts for future Bookings for PECOS SOUND SYSTEM cold weather now. New Storm will be around the Mountains National Forest Area. Lots of open areas the correct district for music to sort of say Play A True Sound System in for vinyl musical dancing sounds. Working on mostly Reggae For the next grooves with Dance Vinyl & a Mix of OLDIES’ in singles some large sets. Kid Pecos with old time sound cat Kutchie Love will be selecting into this Vinyl Mix. Greeting In The Name Of Jah Rastafari. Relax a bit in between vinyl sound grooves. A big storm is going to brush by lots of blowing snow, wind. TL SOUND REGGAE DANCEHALL will playing the next Pecos Sound. Some older classical tunes up above. Classical sort of Ball Room, which can be a Bar Lounge Area. Kid Pecos could play a light Classical, with a 1960’s Era Sound, with some 1950’s Vinyl to keep the mix vinyl groove with an older relaxing music sound playing a 1970’s sort of Hit Disco, Soul, Pop Hit Tune with this mix a little 1950’s to mostly 1970’s a little 1980’s Jazz Era Vinyl which is harder vinyl to find American Blues from same Era. Kid Pecos will add a reggae dancehall replay. Kutchie Love thanks the crowd for the positive energy in the dancehall. Big storm is on the way will be brushing the area with snow, wind cold temps. http://www.twitter.com/@kidpecos will be be playing a close out sound for San Mateo Mountain Cibola National Forest Region. Big Snow, wind, cold storm blowing by.